More Starbucks patrons are voicing out there displeasure at students "hogging" seats and tables while studying at Starbucks outlets. Facebook users ‎Chang Wei Feng and ‎Chang Chin Leong were frustrated when they could not find a place to sit at a Starbucks outlet located at United Square. They both posted their experiences on Starbucks Singapore's Facebook community page on June 5. 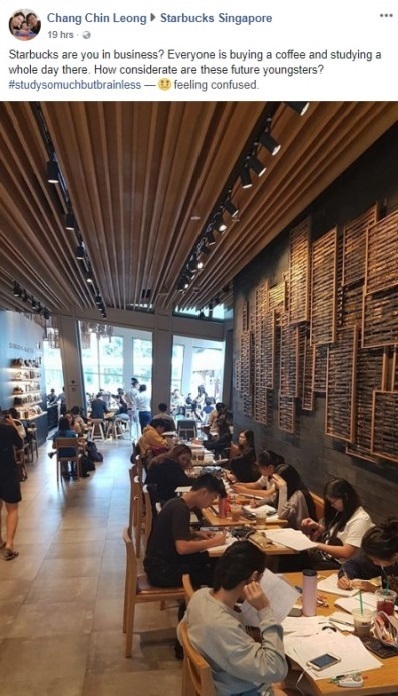 "More like a library than a cafe," wrote Wei Feng who added that she waited 15 minutes for a seat but gave up and decided to take away her order instead. She said that "90 per cent" of the tables were taken up by students studying. Describing the situation, she said that two students took up a table that had four seats and that "books, notes, pens, laptop [were] lying all on the tables". Chin Leong wrote in his post: "How considerate are these future youngsters? 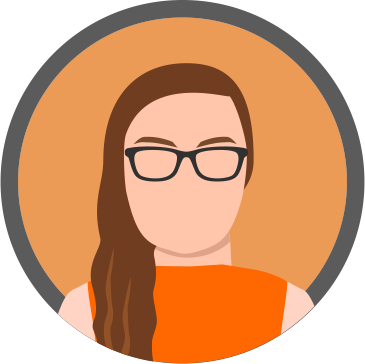 #studysomuchbutbrainless"
Wei Feng said, "something needs to be done" so that patrons like her can "enjoy" their Starbucks experience. "Seems like it's difficult to enjoy Starbucks, we need to look for other better alternatives soon if this kind of situation doesn't change." This is the latest in a string of complaints about students taking up spaces at Starbucks cafes to study by other patrons who just want to enjoy their cups of coffee there. Students hogging Starbucks seats: Woman asks "what do you want us to do about it?" Customer enters CCK Starbucks and exits again: "Why do students have more rights than normal patrons?"